Holli-Anne Passmore left behind a secure managerial position with the federal government in Edmonton to pursue graduate studies in psychology full-time at UBC’s Okanagan campus. Passmore worked part-time on her undergrad degree for several years at Grant MacEwan University. She met UBC Psychology Associate Professor Mark Holder – who studies the science of happiness – at a conference in Philadelphia two years ago. Holder encouraged Passmore to consider graduate studies at UBC’s Irving K. Barber School of Arts and Sciences. While at MacEwan, Passmore successfully applied for $17,500 from the Joseph Armand Bombardier Canada Graduate Scholarship Program from the Social Sciences and Humanities Research Council for graduate study and applied to UBC, with Holder as her supervisor. Arriving on the Okanagan campus in September was the culmination of a life-long ambition for Passmore. As a 12-year-old, Passmore read about Sigmund Freud, and her interest in psychology was sparked from there. Passmore’s field of study, like Holder's, focuses on “positive psychology” or, as she phrases it, “the science of well-being.” One main area of interest for Passmore is how feelings of connectedness to nature and exposure to the natural environment (or elements of the natural environment) contribute to individuals' well-being. An accomplished researcher, Passmore already has five academic publications in various positive psychology journals and books. She has presented her research findings at a number of different national and international conferences via posters and talks. 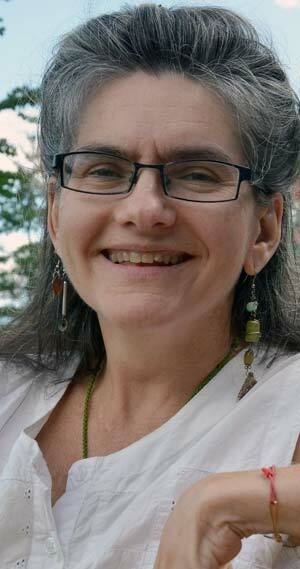 Her research to date has examined the “nature connection” to various indices of well-being such as mindfulness, meaning in life, and spirituality. Passmore hopes to continue this line of research at UBC as well as expanding into other areas of well-being research. She cites Maxine Crawford, a UBC doctoral student in psychology, as one of her mentors. Crawford has done extensive research into the influences of nature on individual happiness. As a mature student with plenty of life experience, Passmore has her own life goal set on earning a PhD.